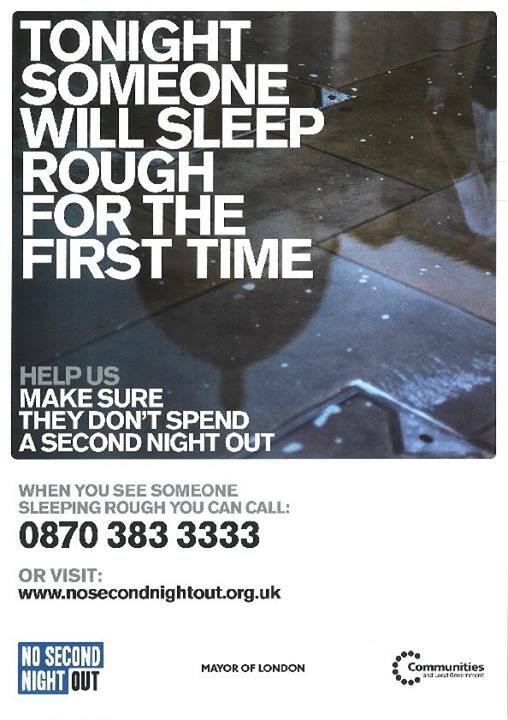 For any insomniacs out there – it’s only 45 pages. And, it’s only a draft, so there’ll be another one along soon. Click on the link above to see a full size version of the map below. Nine Elms on the South Bank, the £15 billion opportunity area between Lambeth Bridge and Chelsea Bridge, is rapidly becoming recognised as a future go-to destination for the culturally savvy, and a natural extension of the South Bank. In September The Royal College of Art (RCA) and St. James announced the creation of a new creative space at Riverlight, St James’ primary river-fronting scheme in Nine Elms. Opening as a project space for students in autumn 2014, the space will create opportunity for artists and audience to interact. Award-winning artist and RCA Sculpture tutor, Kate Davis, will curate a bespoke programme to include performances, lectures and readings which will be available to the general public, offering an insight into the artists’ evolving creative process. Nine Elms on the South Bank is increasingly participating in London-wide cultural events. On 20 October 2013, The Big Draw will come to Nine Elms on the South Bank. “Big Draw Nine Elms: Drawing Tomorrow”, an artist led community workshop, will give members of the public a chance to contribute to a collaborative drawing of this part of the London riverside as it transforms, capturing breath taking views from the 20th floor of One Nine Elms. Events are also taking place in the Pump House Gallery in nearby Battersea Park. Nine Elms on the South Bank also participated in the capital’s annual Open House event, in September. Members of the public were able to tour several of the building projects that are currently underway – including some 38,000 visitors to Battersea Power Station. In addition, the Mayor’s Thames Festivalwas this year extended along the river. Ildikó Buckley and Jane Palmer’s large-scale ‘YES’ sculpture toured two of Nine Elms on the South Bank’s riverside locations, and guided walks and storytellers from White Rabbit’s ‘Are you sitting comfortably?’ platform recounted extraordinary stories about this historic part of London. Vauxhall, the existing town centre in the area, is set to become a thriving cultural district, particularly with the emerging Vauxhall Gallery District. Damien Hirst’s Newport Street Gallery will open in 2014 and will house the artist’s personal art collection that comprises some 2,000 pieces, including works by Banksy and US artist Jeff Koons. In addition Charles Asprey’s Cabinet Gallery is scheduled to open next summer which will join the existing Beaconsfield and Gasworks spaces. A diverse range of theatre and arts spaces encircle the area. Vauxhall is home to the Garden Museum, Tea House Theatre, Lost Theatre and the Royal Vauxhall Tavern. Battersea boasts Battersea Arts Centre, Testbed1, Doodle Bar and the Pump House Gallery, to name a few. With all this – and the Tate Britain only a short walk away – the area is fast developing into an artistic hub within London. Nine Elms on the South Bank will increasingly reclaim several areas of public realm. The ‘pop-up’ park outside Battersea Power Station gave a taster of the forthcoming Power Station Park that will bring high-quality landscaping and unparalleled views of the Power Station. 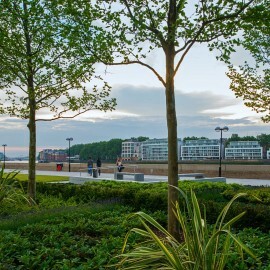 Situated at the foot of One St. George’s Wharf, the recently opened Riverside Gardens provides a new open space for residents and visitors alike that overlooks the Thames. Moreover, Erect Architecture and J&L Gibbons are working with the Vauxhall One BID (Business Improvement District) to re-design the public realm in Vauxhall after winning the RIBA International Design Competition. Their aim is to create a Vauxhall Walkway and improve the Railway Arches, as well as recently re-opened Vauxhall Pleasure Gardens. Nine Elms on the South Bank is the area between Lambeth Bridge and Chelsea Bridge, including Vauxhall, the new US Embassy, Battersea Power Station and New Covent Garden Market – the greatest transformational story in the world’s greatest city. The area will be transformed from central London’s last remaining industrial district to become a destination right in the heart of London. Underutilised industrial land is making way for new public squares, parks, schools, Tube stations, homes and businesses that will drive growth and create jobs. It will be a strikingly modern addition to the cityscape and a new centre for culture on London’s South Bank. Councillor Ishbel Brown is inviting residents affected by unacceptable noise, litter and anti-social behaviour around Vauxhall Cross and the railway arches to a public meeting to seek resolution of the issues. I believe that a new planning application has been/will be submitted for the erection of a tower block at 69-71 Bondway, 30 metres taller than the previously rejected tower. It’s not called a planning application though, it’s a ‘Scoping Opinion’. I can give them mine. It’ll be brief.